HTC Corporation, a leading innovator in mobile and virtual reality technology, today introduced the latest stunning smartphone in the award-winning HTC One family, the HTC One A9s. Drawing on HTC’s iconic design pedigree and world-renowned technological innovation, the One A9s is created to inspire a new generation of phones that offers impeccable precision craftsmanship and quality at remarkably affordable value. The HTC One family has won numerous industry awards for its iconic designs and incredible features, and the HTC One A9s continues in this tradition. The HTC One A9s is encased in a nature-inspired, dual-finish metal body that perfectly glistens with light from its frame. Its polished edges comfortably fit a 5” screen in your hand, and its diamond-like cut buttons and power button grooves demonstrate attention to every detail. More than just beautiful, it’s also durable, crafted to withstand hundreds of drop and scratch tests in addition to hundreds of hours of extreme weather testing for long-lasting reliability. The HTC One A9s protects your valuable data but opens at a simple tap. An ultra-fast fingerprint sensor sits directly below the HD display, easily recognizing your fingerprint from almost every angle and position. Your fingerprint can also be the key to easily unlock protected apps locked with HTC Boost+, a powerful suite of tools to maximize your smartphone’s security, privacy, and performance. HTC Boost+ keeps your phone in tip-top condition by dynamically allocating resources as needed, making switching between apps smoother while reducing the unnecessary power consumption of background apps. Boost+ also de-clutters your phone by clearing up temporary files and giving you reminders about apps you haven’t used in a while. It’s the single best way to keep your HTC One A9s running like new long after you purchase it. You don’t just want our phone to run like new, however, you also want it to run like you. The HTC One A9s lets you personalize your phone as unique as you are. HTC Freestyle Layout frees you from an on-screen grid and lets you get creative. Drag icons, stickers and widgets anywhere. Layer them, overlap them, group them and more. You can even link stickers to apps, and get rid of on-screen icons entirely. The home screen is yours – use it your way. Few things on a smartphone are as important as the quality of its cameras – they will capture your memories, life’s joys, and special moments to share and keep forever. For this reason, the HTC One A9s features an outstanding 13MP main camera with autofocus for sharp, clear photos. You’ll capture low light details with its BSI Sensor and get enhanced editing control with RAW capture in Pro mode. The 5MP front camera of the HTC One A9s makes brilliant selfies simple. Take hands-free selfies with Voice Selfie, or use Auto Selfie and take your own shots with just a smile. You can even smooth out your skin tone and beautify yourself before you shoot with Live Makeup. A great camera is only as good as its ability to forever save, find, and share your memories, and the HTC One A9s offers unlimited free storage with Google Photos. You won’t have to worry about running out of storage space on your phone since all your photos and videos are stored in the cloud for easy access. Plus, you can find any photo fast and easy with the Search function, and locate photos by face, location, objects and themes, or manually search for photos with keywords. Inspired by nature and created for life, the HTC One A9s is an outstanding smartphone with the beauty and power to meet you every need. 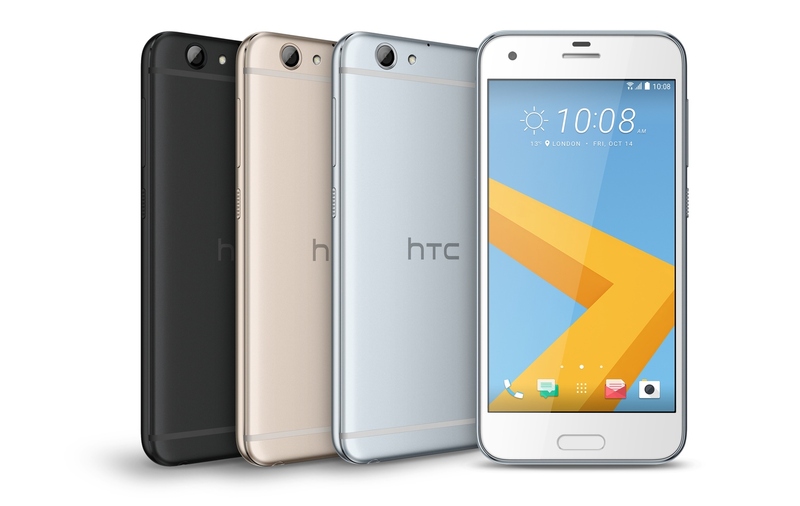 The HTC One A9s will be available in the coming weeks in select regions. For more information and detailed specs, please see htc.com.